Apple Camp isn't really a "camp", obviously. It's not even a day camp. 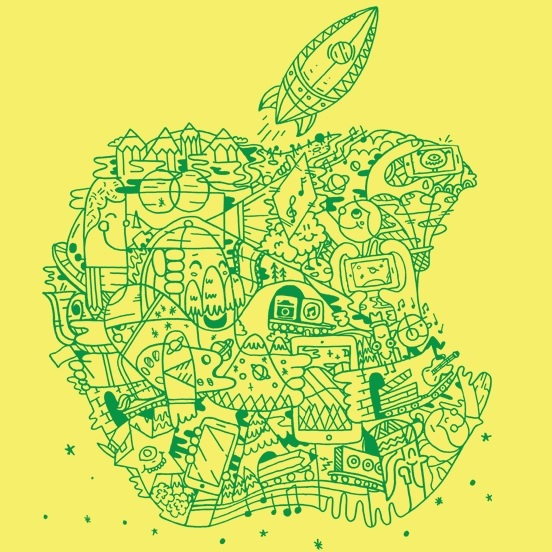 It's three 90-minute activity sessions, over three days, at your local Apple Store. Kids ages 8-12 are eligible. It WOULD sell out in moments... but it's free. So it fills up even more quickly than that. Creating Characters and Composing Music Kids ages 8-12 will create their own stories through drawings and sounds. Campers will start their session by sketching characters and scenes with iPad Pro and Apple Pencil, then they’ll explore the basics for composing a track using GarageBand. They’ll bring their story to life by adding vocals and finishing touches. Stories in Motion with iMovie Future filmmakers ages 8-12 will explore the creative process of turning their ideas into real movies. In this three-day session, Campers will learn how to brainstorm and storyboard. Then they’ll get hands-on with movie-making techniques like learning camera angles and editing with iMovie. On the final day, they’ll present their masterpieces. Coding Games and Programming Robots In this three-day session for kids ages 8-12, we’ll introduce programming through interactive play. Kids will learn visual-based coding by solving puzzles with Tynker. Then they’ll learn how to program Sphero robots, and even create fun stories starring Sphero as the main character. Our guy went for Option #3 - after all, it included the phrase "CODING GAMES", which has the same effect on 11-year-olds in 2017 than "FREE BASEBALL CARDS" did for 11-year-olds in 1986. I had tried to get our guy signed up for Apple Camp in the past, but never succeeded.... it fills up so quickly. This year, I was right on time. He attended during the final week in July. As an 11-year-old, he was one of the oldest Apple Campers at Chicago's Oakbrook Apple Store - but he didn't really mind. 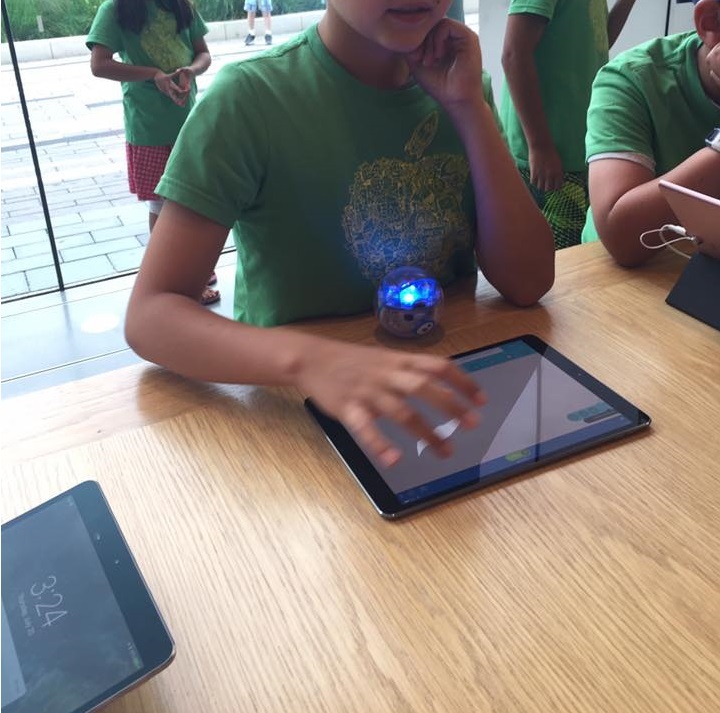 The "coding" was primarily using an iPad to program the robots to perform certain tasks, like navigating a maze. One note for parents - Apple asks that you stay in the store during camp.... but with older children, that wasn't a hard-and-fast rule. Which is good, because my wife was never going to get my three-year-old daughter to stay in one store for 90 minutes. After three afternoons, our guy had completed all of the programming and left with his Apple Camp diploma. The final verdict? He gave the camp a thumbs-up -- a much higher grade than his typical "thumbs medium". But because he already felt kind of old THIS year, probably won't be attending next year, unless one of the courses REALLY catches his attention. 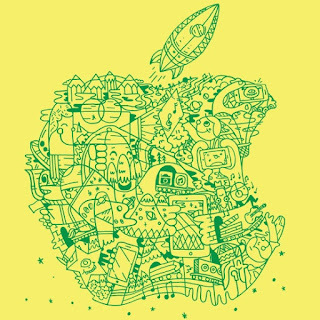 If you're interested in sending your kid to Apple Camp next summer, sign up for Apple's "Notify Me" list, and they'll let you know when 2018 signups start.